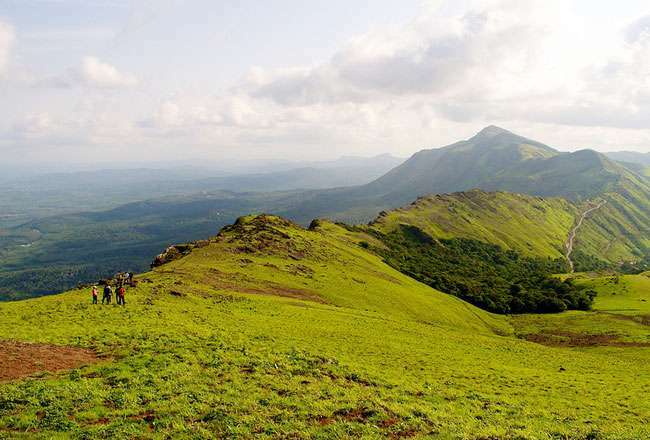 Situated in the southwestern part of the Karnataka state, Chikmagalur is one of the most scenic places, an amazing weekend destination from Bangalore. Lying in the Baba Budan hills, this hill station boasts of pleasant climate, lush surroundings, picturesque locations, gushing streams, serene environment, beautiful waterfalls and floral valleys. Dotted with a number of tourist attractions, Chikmagalur in local language translates to “the town of the younger daughter” because of its mythological connection. During your visit to his beautiful hill town, visit the attractions spread all around, treat your eyes to the natural beauty and spend a memorable on the relaxing ambiance. There are no direct trains from Bangalore to Chikmagalur. Nevertheless, you can board a train from Bangalore to the Kadur railway station that is the nearest railway station to Chikmagalur. Kadur railway station is around 45 minutes from the Chikmagalur city centre for which you can either rent a cab, an auto-rickshaw or a local bus. You can hire a cab from Bangalore to Chikmagalur, an extremely comfortable option. Although, there is also an option of taking a direct bus from Bangalore to Chikmagalur. A very popular attraction in Chikmagalur, Baba Budan Giri peak is around 28 km northwards of the town. Christened after the Muslim Saint Baba Budan, this peak has a height of 1895 m above the sea level. Also known as Dattagiri, it offers some amazing views of the surrounding. You can also indulge in bird watching here. Nestled amidst the Western Ghats, Horanadu is around 100 km south-west of the hill town. Visit the ancient Annapoorneshwari temple, revamped and renamed as Adi-Shaktyatmaka Shri Annapoorneshwari. A visitor to the temple is offered food and shelter, within the temple premises. From the temple complex, you can also enjoy a panoramic view of the surrounding valleys and forests. Situated quite close to the religious site of Baba Budan Giri Dattatreya Peetha, Manikyadhara Falls gushes down from an amazing site and offers an amazing sight. When you will visit the site, it will look like the water is gushing down like small pearls. Treat your eyes to the surrounding beauty. Around 10 km from Kemmangundi, Kallathigitri Falls cascade from a height of 122 meters from the Chandra Drona hill. Also referred to as Kalahasti falls, the pool formed at the base of the fall becomes a beautiful sight amidst lush scenery. 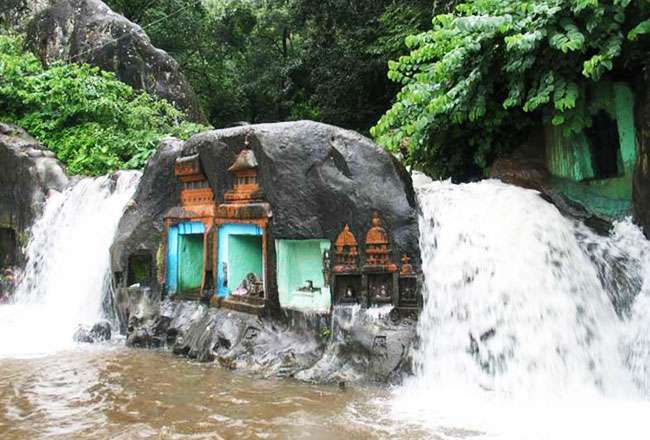 In the gap between the rocks of the waterfall, there is an ancient Veerabhadra temple, which is dedicated to Lord Shiva. Once you cross the falls, you reach the temple. Shanti Falls is an extremely beautiful waterfall, which lies on the road towards the Z-Point in Kemmangundi. While the Hanumana Gundi Falls, which is located around 32 km from the Kalasa, this waterfall gushes down from a height of more than 100 feet on natural rock formalities. Placed at a distance of 10 km from Kemmangundi, Hebbe Falls is a beautiful waterfall that cascades from a height of 168 meters in 2 stages to form Dodda Hebbe, which are the Big Falls and Chikka Hebbe, which are the Small Falls. A visit to this waterfall is quite refreshing and memorable.